Holiday home for 12 people with pool. Kvarner Bay | Admittedly, the Croatian Adriatic coast offers fantastic beaches. But it’s simply nicer with your own pool. Spontaneously decide if you’d prefer to splash about in the sea or in the pool. 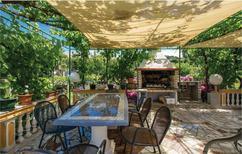 “It’s a very luxurious holiday home, absolutely super – just like it is in the pictures. No wish was unfulfilled,” wrote one customer. ​Kvarner Gulf | Here we'll show you the accommodation at the Kvarner Gulf, which has received the best reviews from our customers. 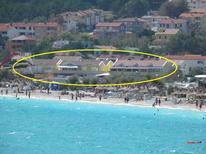 Apartment in the little village of Martina with a view of the sea and the island of Cres. 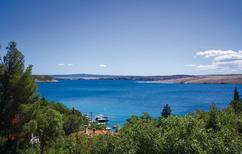 ​Kvarner Bay | Kvarner Bay forms a wide arch between Istria and Dalmatia with several hundred kilometres of coastline. 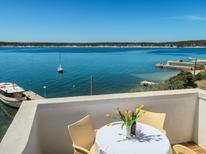 You’ll find holiday homes with a direct view of the Adriatic here. A holiday house at Kvarner Bay costs on average GBP 538 in the cheap travel period and GBP 918 in the peak season per week. These details are of course in relation to the house and not per person as well as includes the obligatory additional charges. The Adriatic coast is one of the most desired travel destinations in Croatia for vacationers who love the sea. 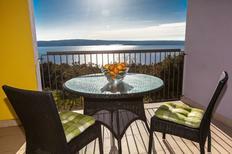 Particularly popular is Kvarner Gulf in the northern part of the Adriatic on the passage between Istria and Dalmatia. Countless traditional and modern seaside resorts are sought after destinations for bathing holidaymakers. But also the offshore islands lure many tourists. 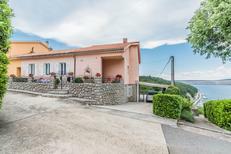 Holiday apartments and houses at Kvarner Gulf are very popular for those wanting to stay in the region with an array accommodations on offer. In nearly every holiday resort you will find the corresponding offer in different categories. 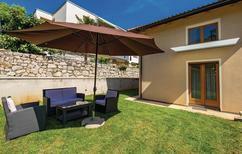 Holiday apartments and houses around the Kvarner Gulf are ideal for a family bathing vacation. 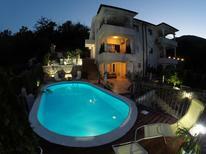 Holiday apartments and houses at Kvarner Gulf: You have the choice! There are a number of seaside resorts around Kvarner Gulf that partly can look back on a long standing vacation tradition in Croatia. Historical monuments in conjunction with the Mediterranean climate and lush vegetation radiate a southern atmosphere. This for example applies to the two seaside resorts Opatija and Lovran. Already during the Imperial and Royal period these two places were a popular tourist destination. 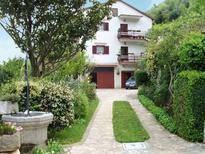 In Opatija there are still a number of buildings which one can find that have the charm of the old Danube Monarchy. You can stroll along the famous promenade Lungomare which are lined for kilometres with well maintained park complexes going all the way to Lovran. Crikvenica is a modern touristic centre with a huge offer of holiday apartments and houses at the Kvarner Gulf with Selce adjacent. Crikvenica has one of the few large sandy beaches along the Croatian Adriatic coastline. Undisputed centre of the region is the port town Rijeka with many vacationers opting to use the airport here. The Korzo with its representative buildings is the main boulevard of Rijeka. Countless shops, cafés and restaurants invite you to go shopping, wander and just enjoy. You should not miss out on tasting some of the culinary specialties the region has to offer. There are many offshore islands in front of the Kvarner Gulf. They are part of the large Croatian island archipelago that stretches along the entire Dalmatian coast which goes all the way down to the south. The largest islands at Kvarner Gulf are Krk, Cres and Rab. They are also a popular destination for holidaymakers as well as for day trips from the mainland. The connection of crystal blue sea and rocky coast of the islands with picturesque villages guarantee a unique holiday experience. 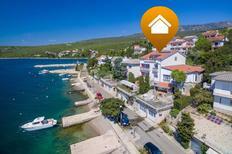 Also on the island Krk, Cres and Rab you will find a varied choice of holiday apartments and houses at Kvarner Gulf. Whilst on Krk you should not miss out tasting the local wine as the island is known as a wine growing region in Croatia.